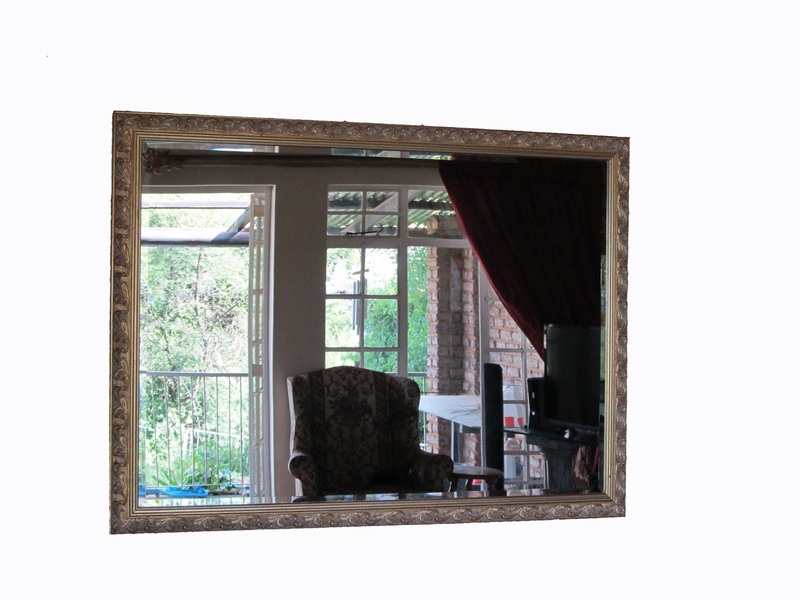 Is DIY possible in Johannesburg using a shoe string budget. Yay!!! I finally got started!! I decided to go ahead and try my hand at spray painting. I'm not new to spray painting, so this task wasn't too daunting. At one stage I was doing interior decorating and I would often cut costs for my customers by spray painting and tinting rebated and round rods. I have just never taken something that looks good to start with and apply my own look to it. (Think this comes from being taught as a child not to damage furniture and things of value, it was kinda drilled into me *grinning*). 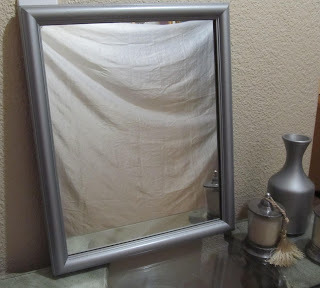 I decided to paint it silver and the spray paint that I chose is called Brilliant Spray Paint' colour is HH702. 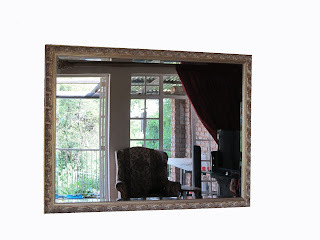 I paid about R45.00 so that wasn't too bad and managed to spray more than just the mirror. 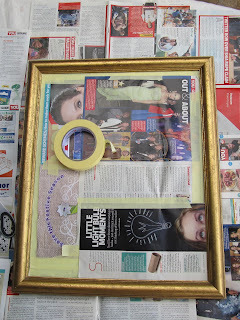 Before starting, you need to cover the mirror with paper, secure this with masking tape. I used an old magazine but I would recommend that you use a larger piece of paper like newspaper etc, and tape over all the loose edges, to prevent the spray paint from blowing onto the mirror, (don't ask me how I know this)! If this does happen you can remove it with acetone, and then using a soft cloth clean with a glass cleaner. I left the mirror to dry and then I gave it another coat. 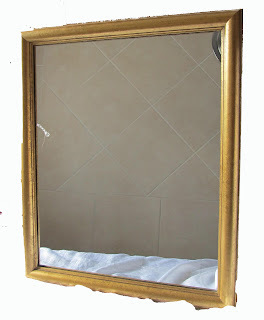 The mirror now has a very matt finish, but I am going to be looking around for a spray paint that a glossier look. I see that in the states there is a spray paint that has a brushed silver finish, I'll be looking to see if we have anything that's similar in South Africa. I also spray painted that silver bottle. It was originally a green glass bottle, pretty amazing what you can do with a tin of spray paint. I'll add some before and after photos of that soon, and also a tray that got the same treatment. Follow Shoe-Stringing in Jozi by email!